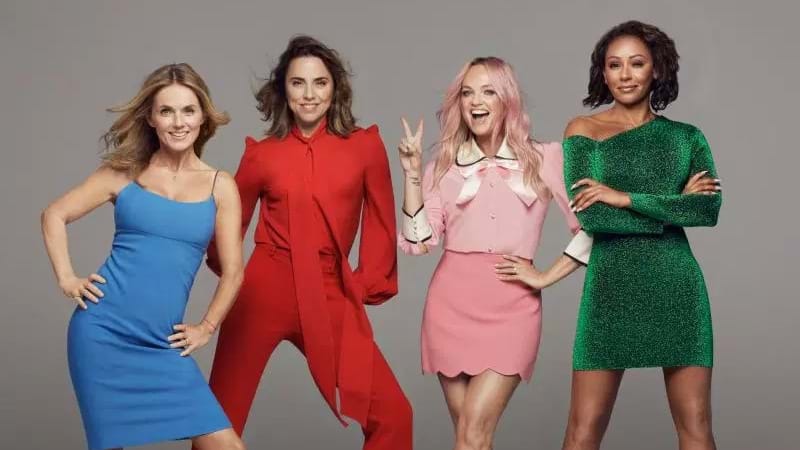 Scary Spice and the remaining girls, Emma Bunton, Melanie Chisholm, and Geri Halliwell just announced their 2019 United Kingdom reunion tour on Monday with a cute clip on social media. Fans also noticed her absence when the band revealed they had been catching up on video chat in an Instagram post which read: "Nothing like a spice girls face time #friendshipneverends #girlpower #chitchat yipppeeee". Finally, after years of teases and constant reassurances (mostly from Mel B), the Spice Girls are returning to Spice Up Your Life. British band "The Spice Girls" perform during the Closing Ceremony at the 2012 Summer Olympics, in London. Tickets go on sale on Saturday 10th November at 10.30am from Ticketmaster. In the official press release, Halliwell added, "I am so excited, together we celebrate girl power with our fans and the next generation and everyone is welcome!" It was previously known that she would not be joining her former bandmates for their comeback tour. The Spice Girls, formed in 1994 and went on to become one of the most successful acts of that decade, popularising the term "Girl Power", before announcing a hiatus in 2000, two years after Geri quit the band.